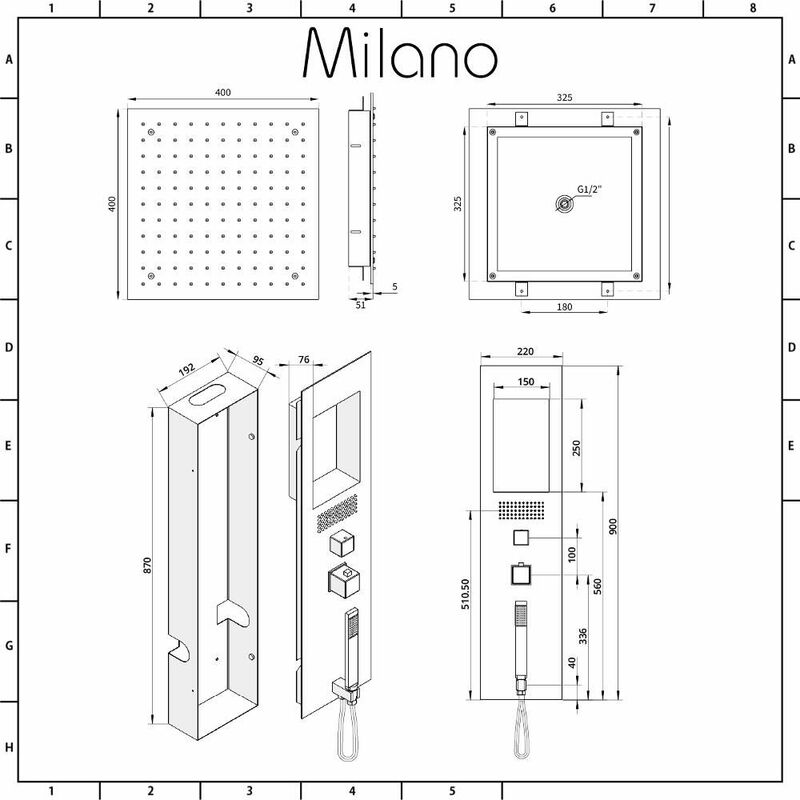 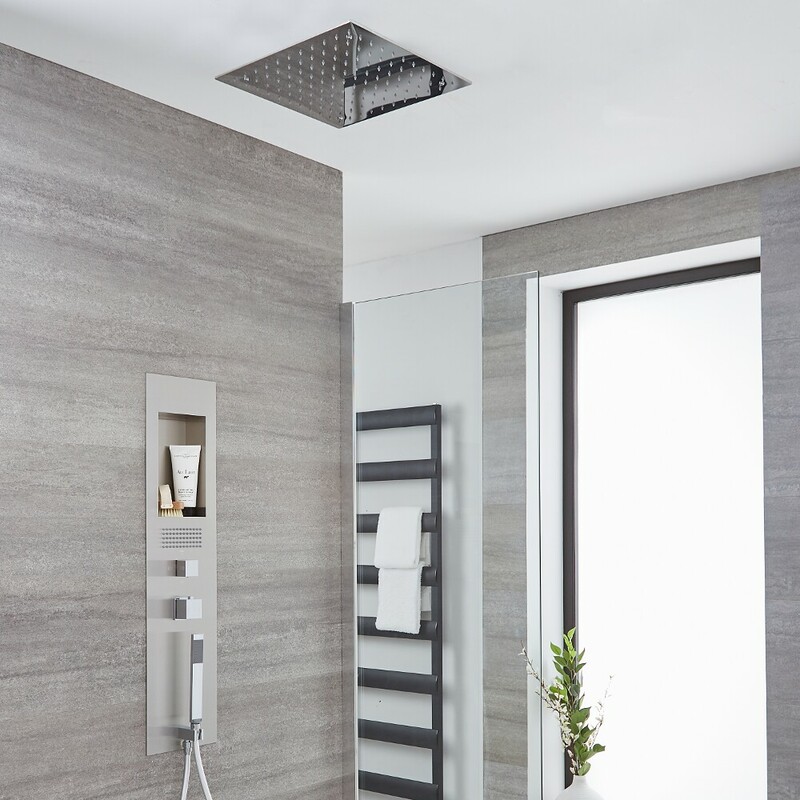 Add designer style to your bathroom with the Milano Lisse concealed thermostatic shower panel and 400mm ceiling tile shower head. 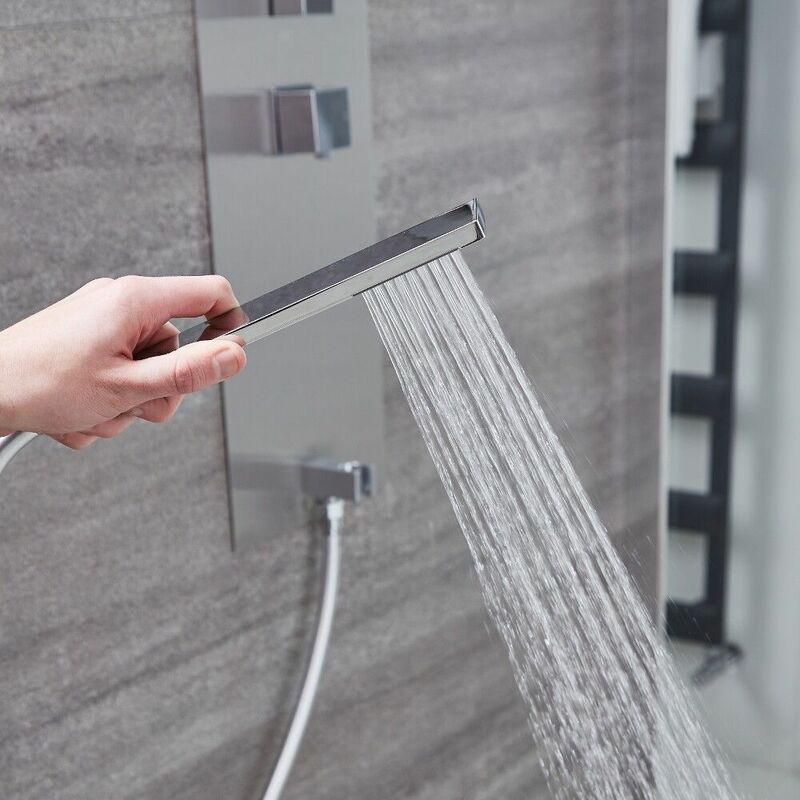 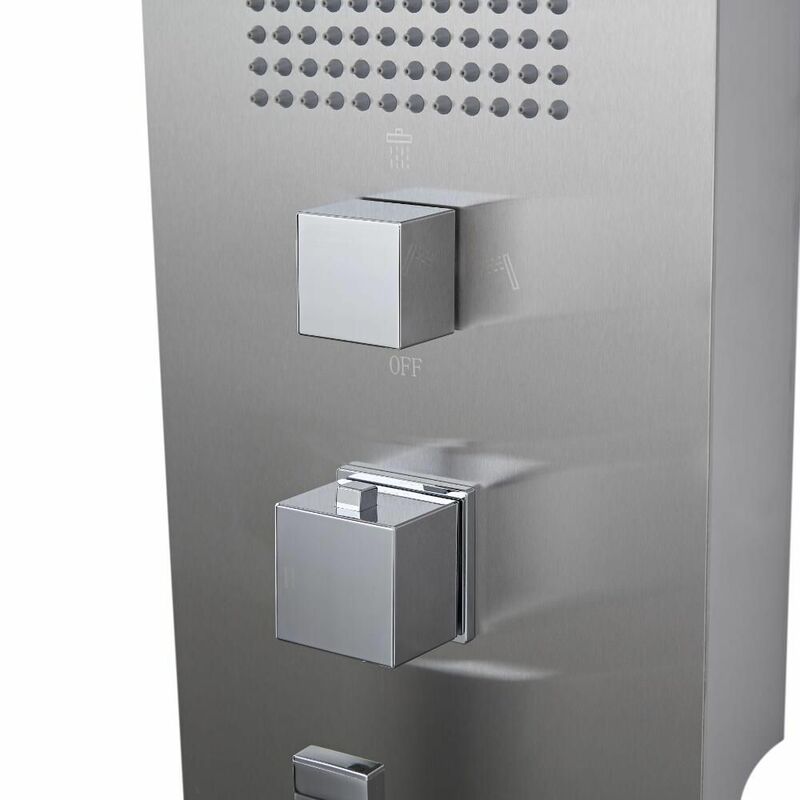 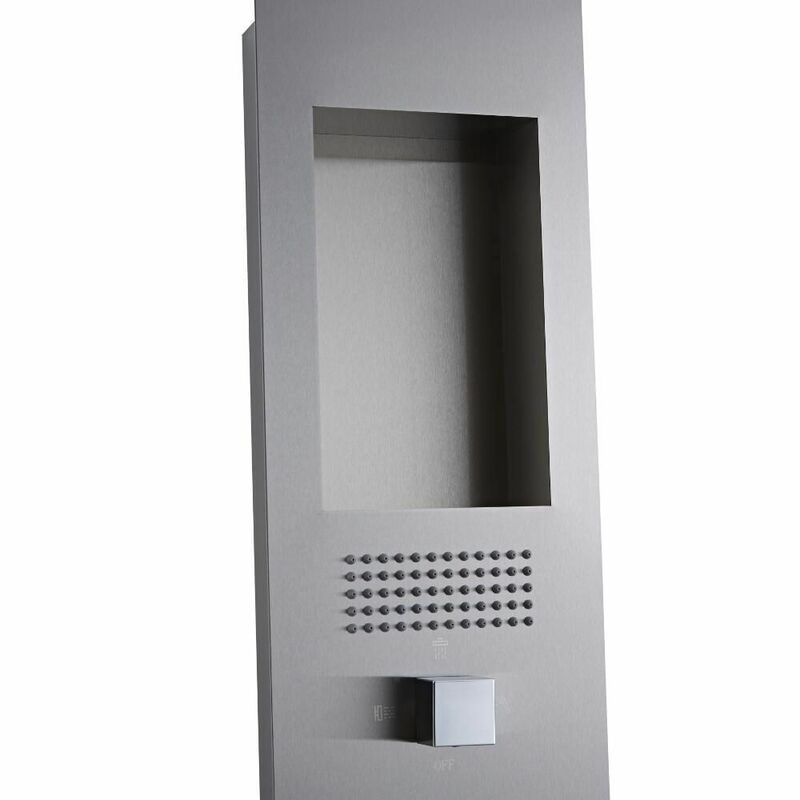 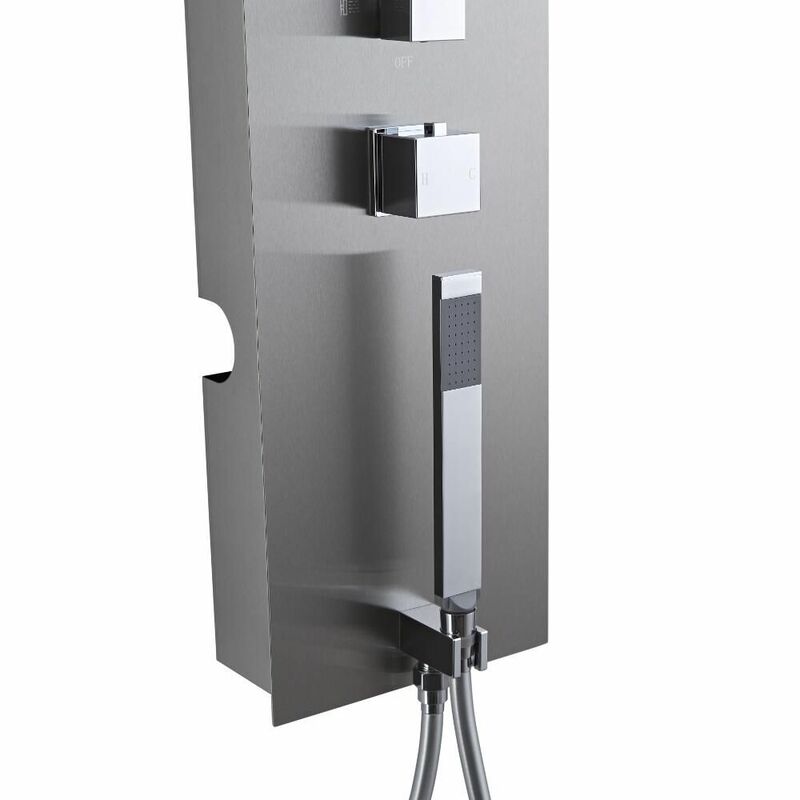 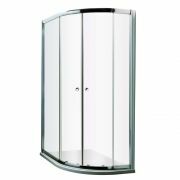 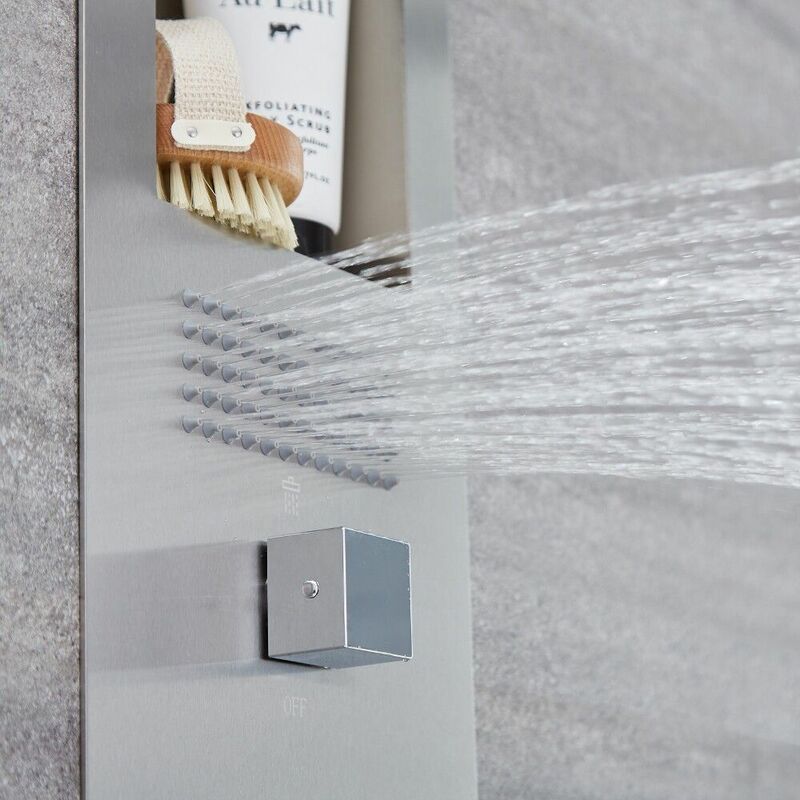 Made from stainless steel, the shower panel features a handy storage space, as well as push button controls, shower handset and body jet. 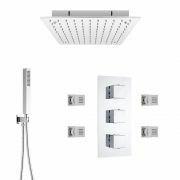 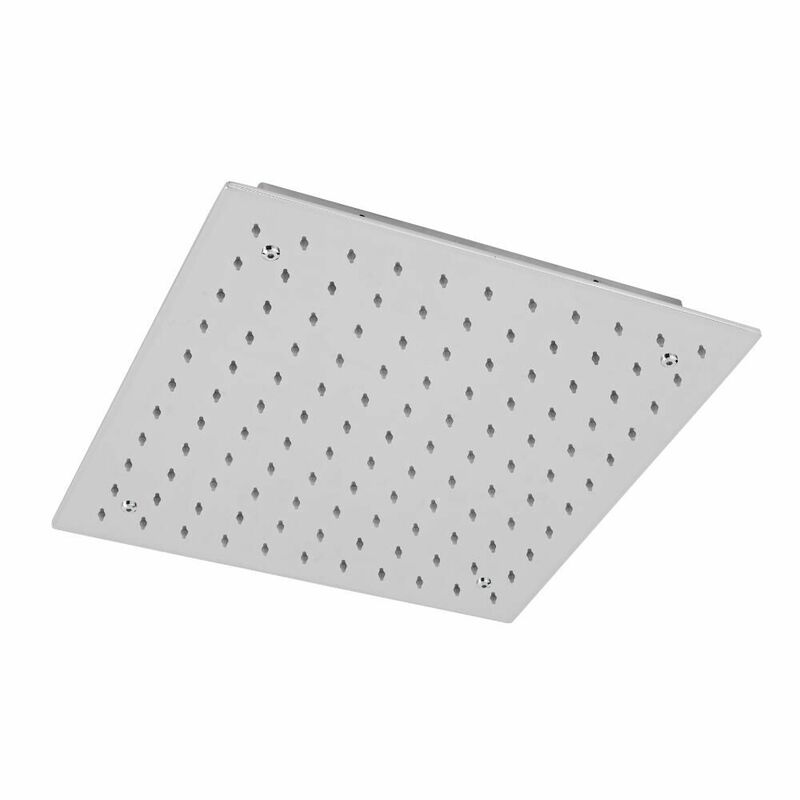 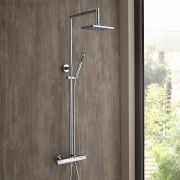 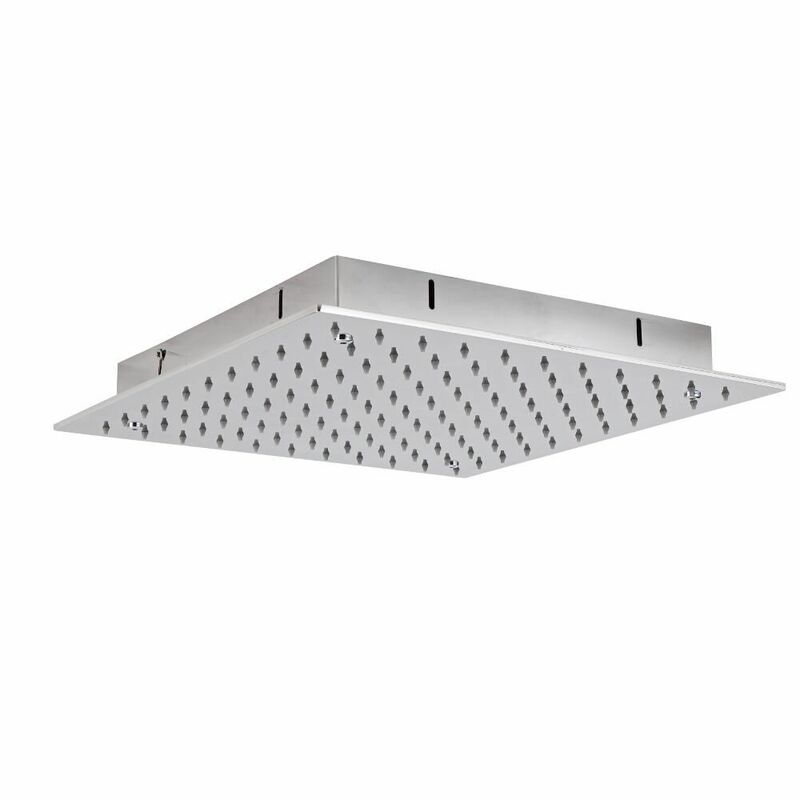 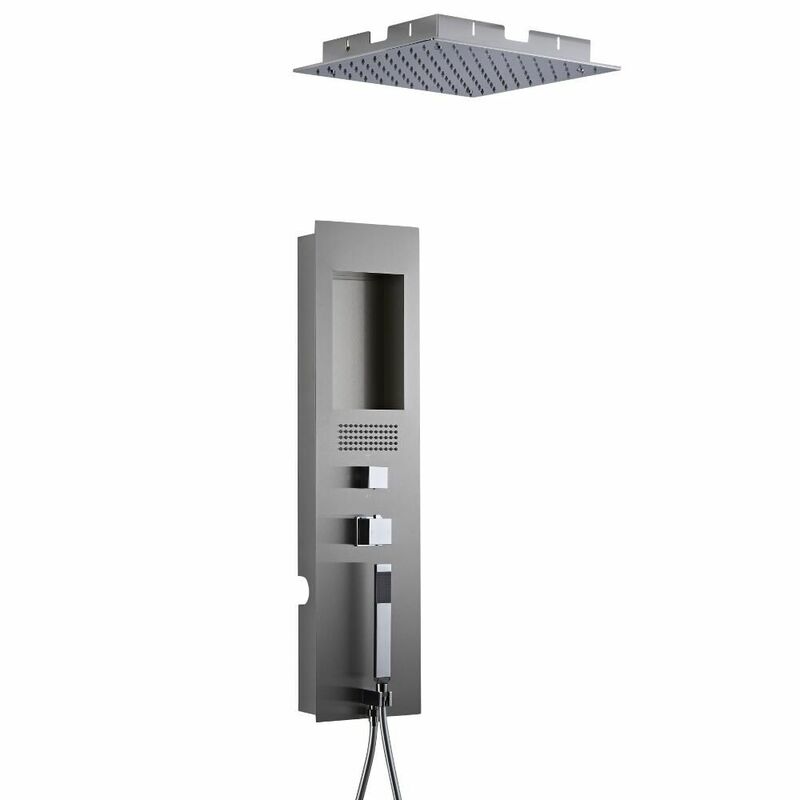 It includes the ceiling tile shower head, which delivers a refreshing rainfall effect.